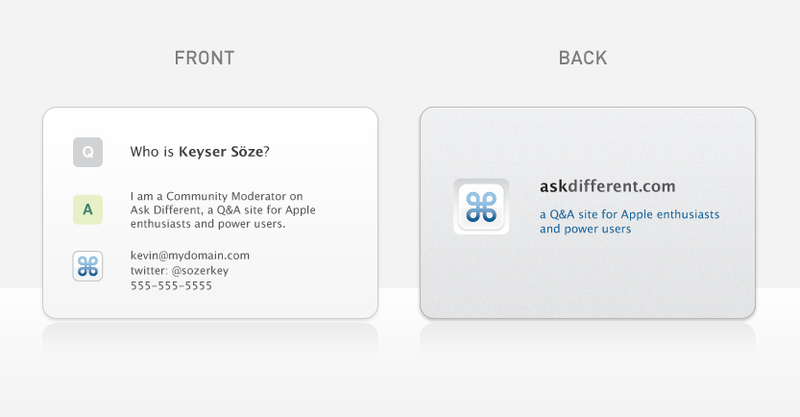 If you're a moderator on the main site, would you be interested in having your own Ask Different contact card? Would you find it useful? I can see them being handy to pass out during your local meetups or conferences. OK, moderators have officially been mailed the form to obtain the cards. Stay tuned!